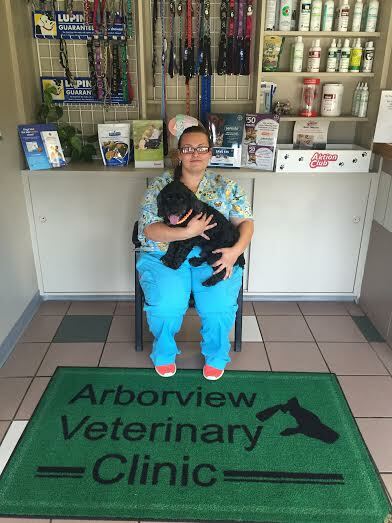 Dr. Laur and Dr. Persia, a husband and wife veterinary team, opened Arborview Veterinary Clinic in 1994. 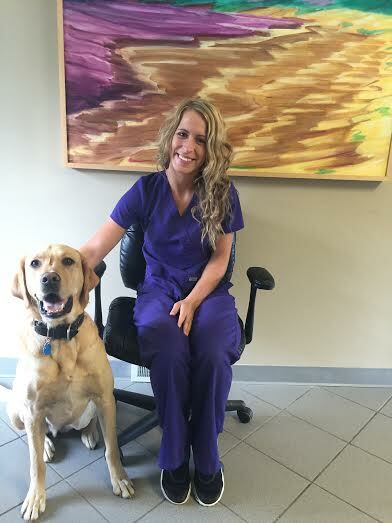 Together they strive to offer personalized compassionate veterinary care to their clients. Over the years they have met many wonderful clients and have enjoyed caring for their pets. 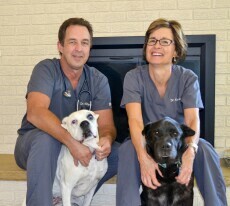 Dr. Laur and Dr. Persia graduated from Michigan State College of Veterinary Medicine in 1986. They married shortly after graduation, and have a son and a daughter. Their pets include dog- "Rielly" and three cats- "Susie", "Charlie" and "Chester"
Dr. Laur grew up in North Branch on the family farm. His special interests are surgery, dermatology, and internal medicine. He enjoys collecting john deere tractors, helping out on the family farm, and is a huge spartan fan. GO GREEN! Dr. Persia's special interest are pocket pets, clinical pathology, and internal medicine. She enjoys walking her dogs, swimming, skiing, and traveling. Stephanie Harvey has been a member of the Arborview staff since January of 2000. She grew up in Lapeer and attended Lapeer West. She enjoys spending time with her son Emmett, playing volleyball and horseback riding. She has 2 dogs named Tango and Patton, 1 cat named Army, and 2 horses Sunday and Taylor. Stephanie joined the Arborview staff in June 2008. She grew up in Lapeer and attended Lapeer West. She enjoys spending time with her family and being outdoors. She has two dogs Stella and Finn, two cats Grey and Callie, four goats and three horses. Erica joined the staff in June 2015. She grew up in Attica. She enjoys hunting and fishing. She also has a passion for orphaned wildlife rehabilitation. She has a dog named Wesson, two cats, and two ferrets Penny and Rizzo. Cassidy joined the staff in August 2014. Growing up in Lapeer she graduated from Lapeer East Highschool. She enjoys spending time horse back riding. She has a dog named Little Man and a cat Patches.